After posting thousands of pictures of bridges it's not surprising that I occasionally receive emails with corrections to my blog. In 2010 I showed a bridge in Arequipa, Peru which I incorrectly identified as by Gustav Eiffel. However, if I had studied the bridge more carefully, I would have realized it was supported by columns manufactured by the Phoenix Bridge Company. It wasn't until I received an email from Jeff Amerine with the Schuylkill River Heritage Center in Phoenixville, PA that I realized my error. 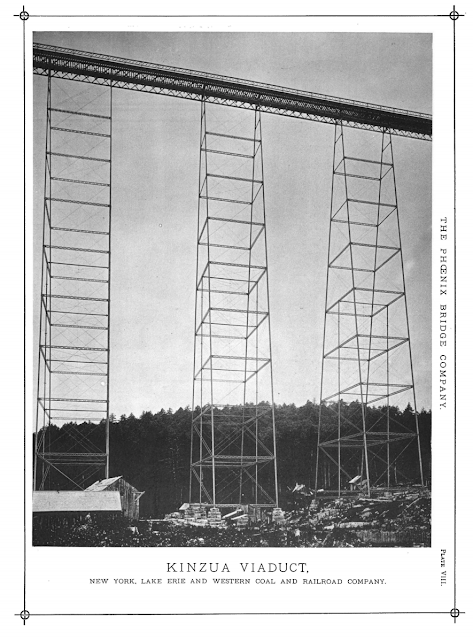 Apparently the Phoenix Bridge Company had been very active in providing bridges to South America. 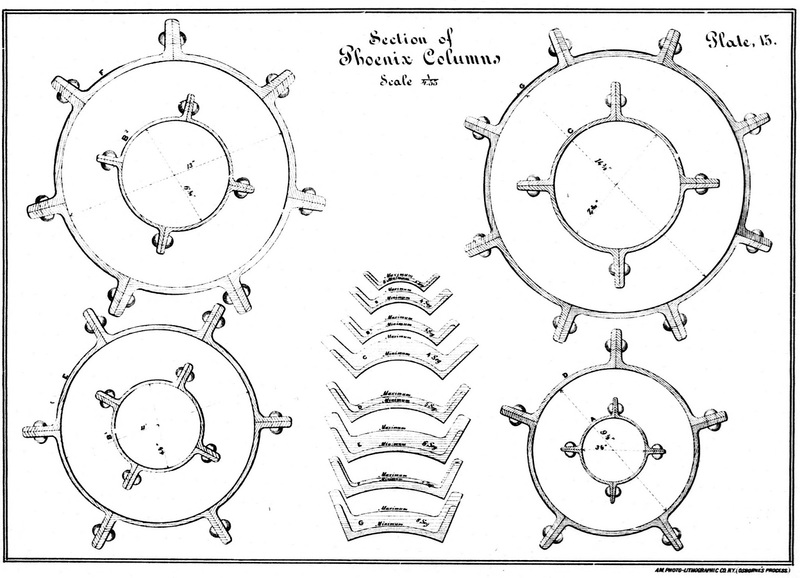 The Phoenix Bridge Company built over 500 bridges with their patented hollow column design. Just like Sears Roebucks, they published a catalog where buyers could chose one of their standard bridge designs (although some additional engineering was usually required). The columns were lightweight but strong and were an improvement over the cast iron columns that had previously been used for truss bridges. However, as the American Bridge Company (and reinforced concrete bridges) became more successful the Phoenix Bridge Company became less able compete and they eventually went out of business.